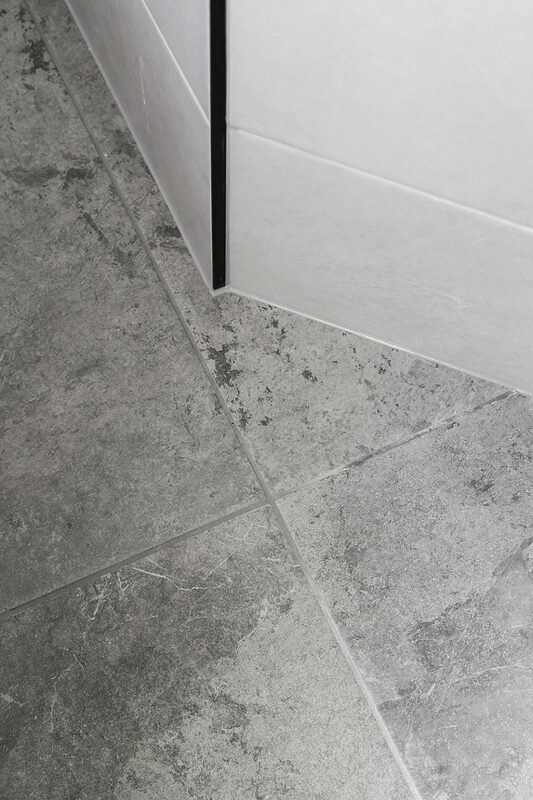 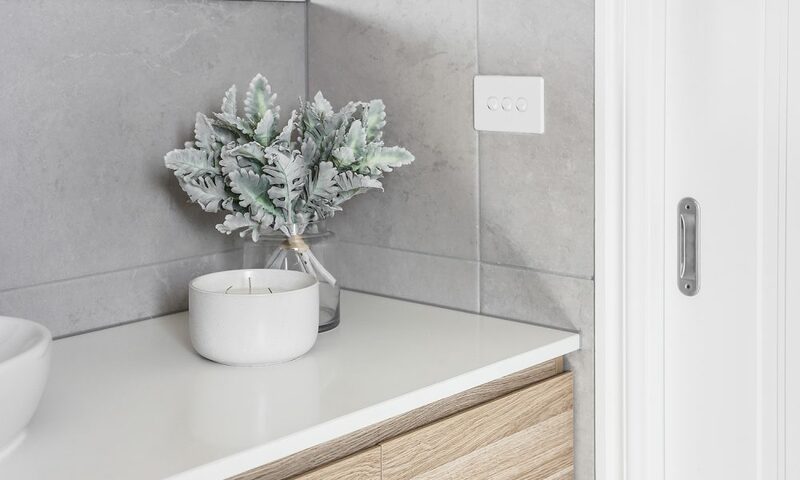 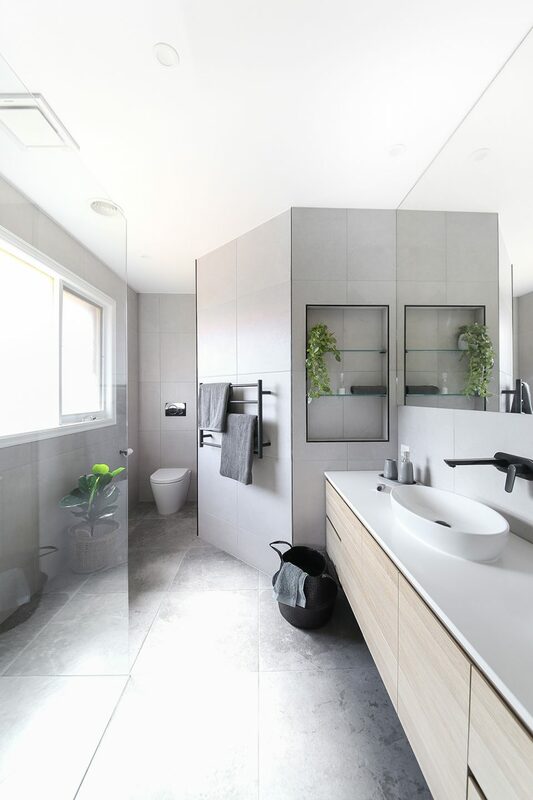 This ensuite renovation was completed by our team at M.J.Harris Group designed by our in house design team. 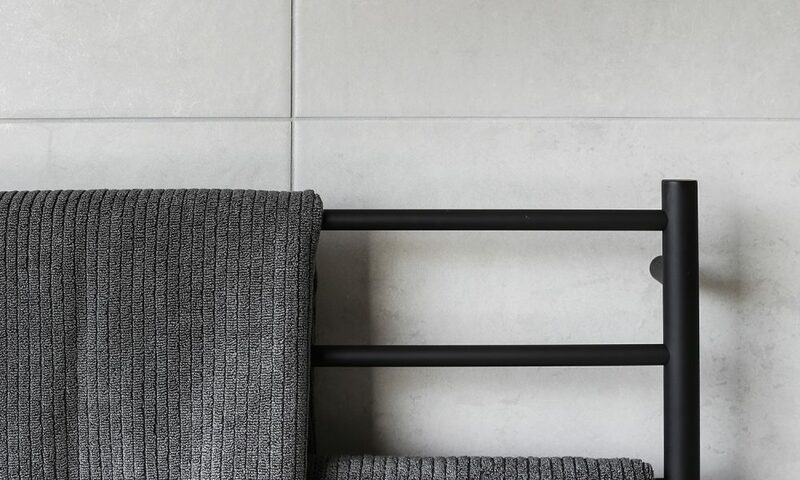 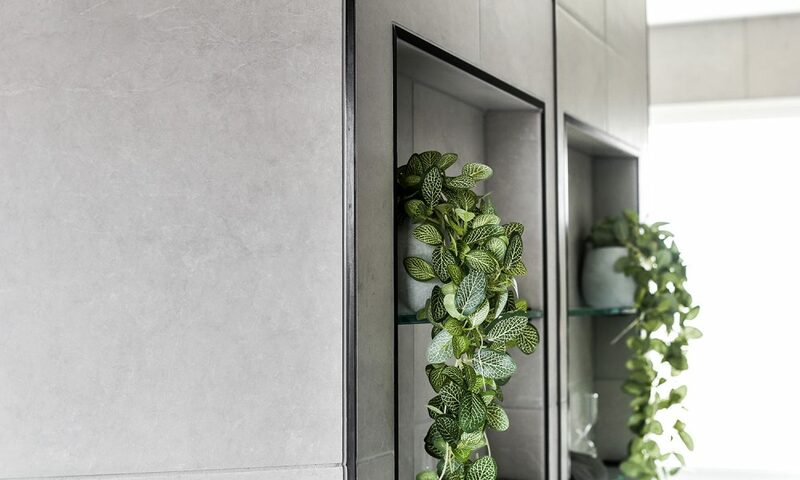 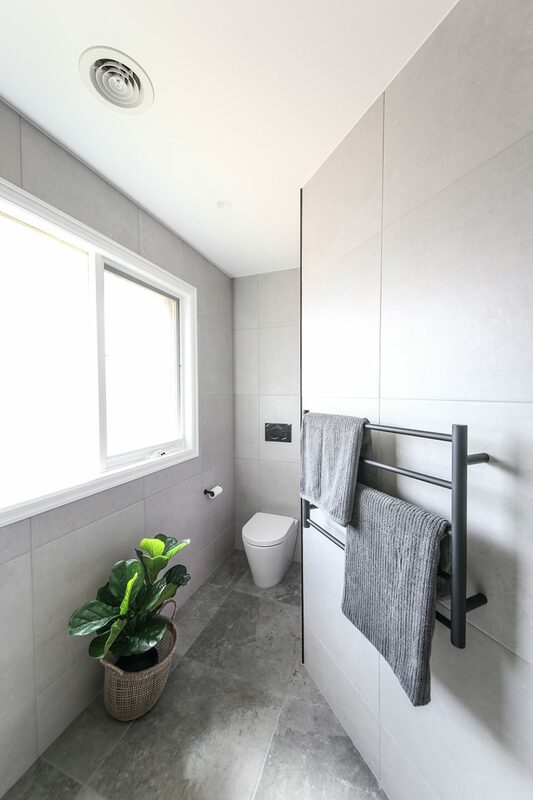 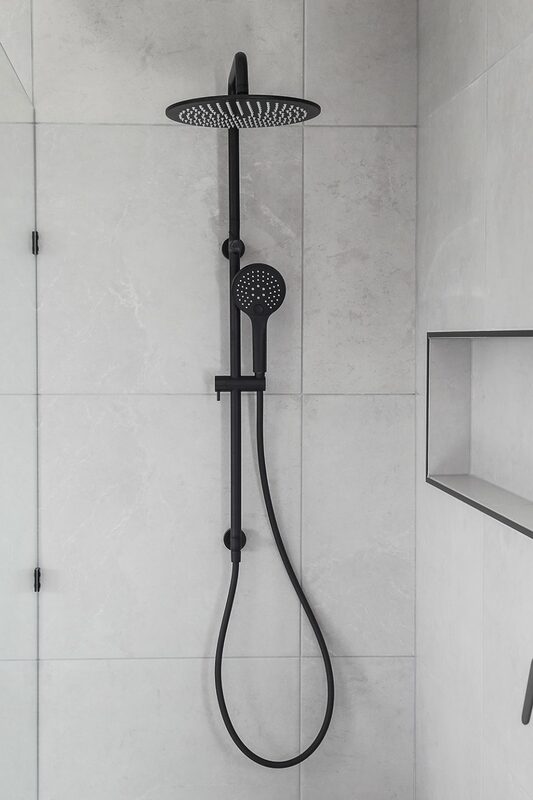 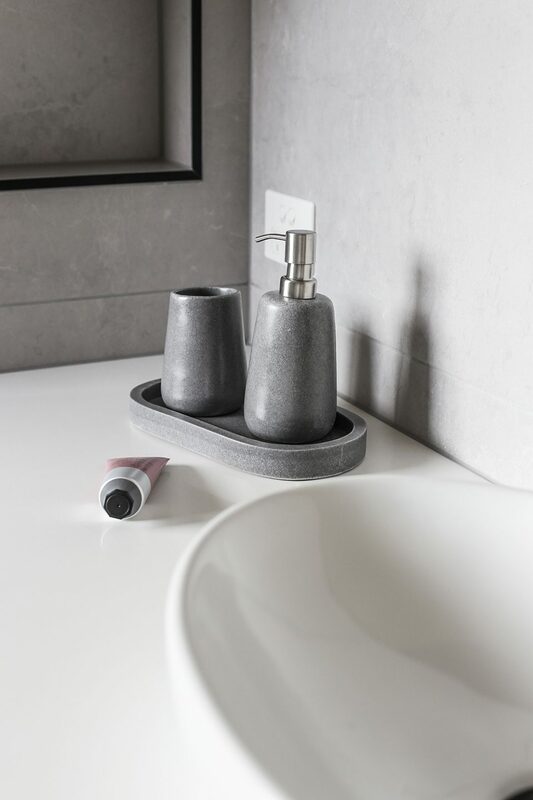 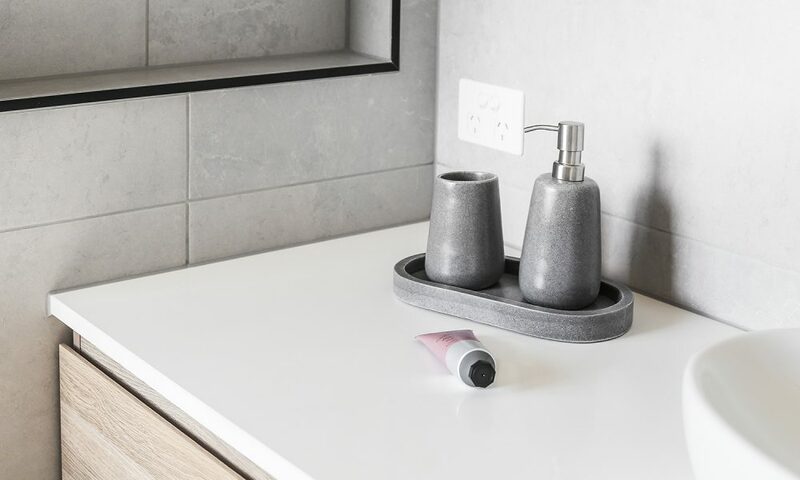 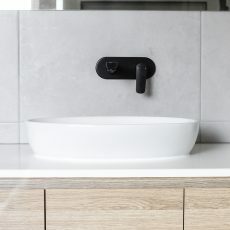 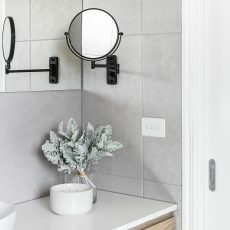 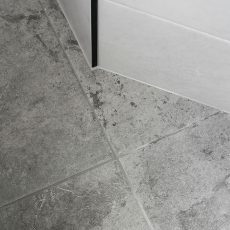 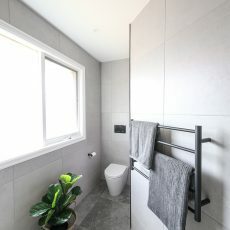 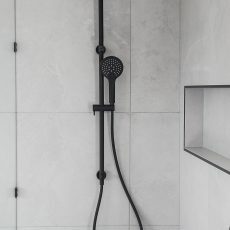 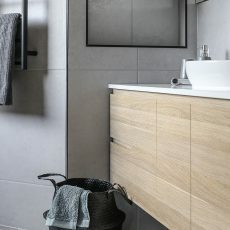 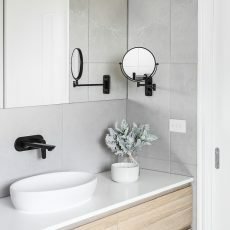 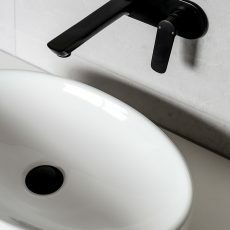 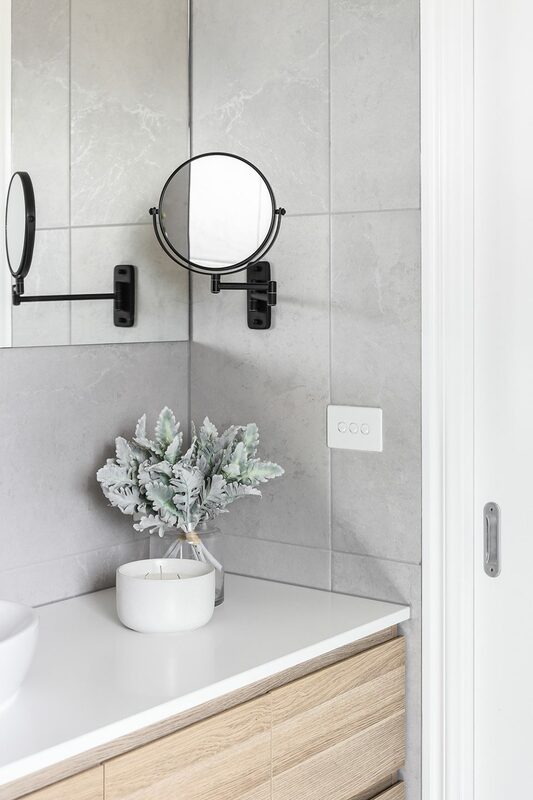 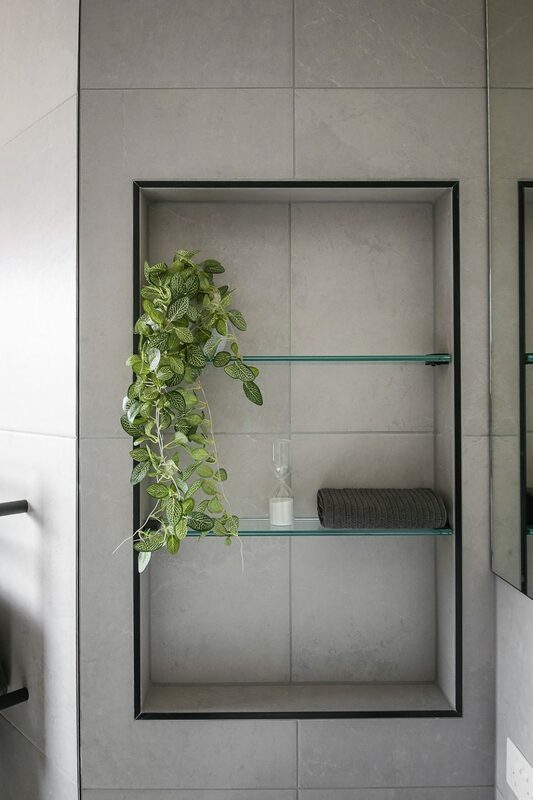 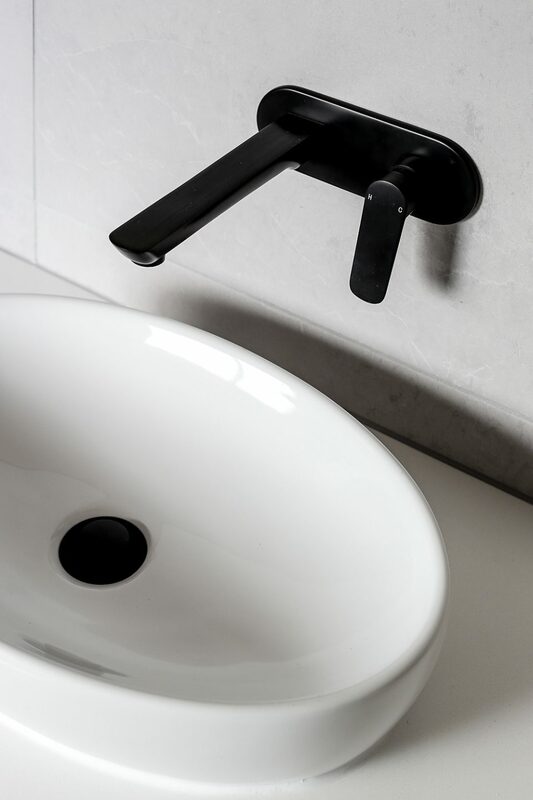 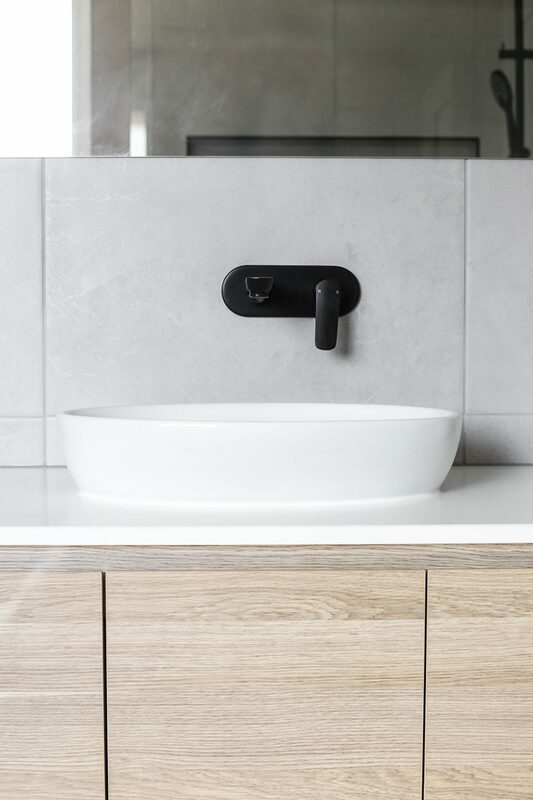 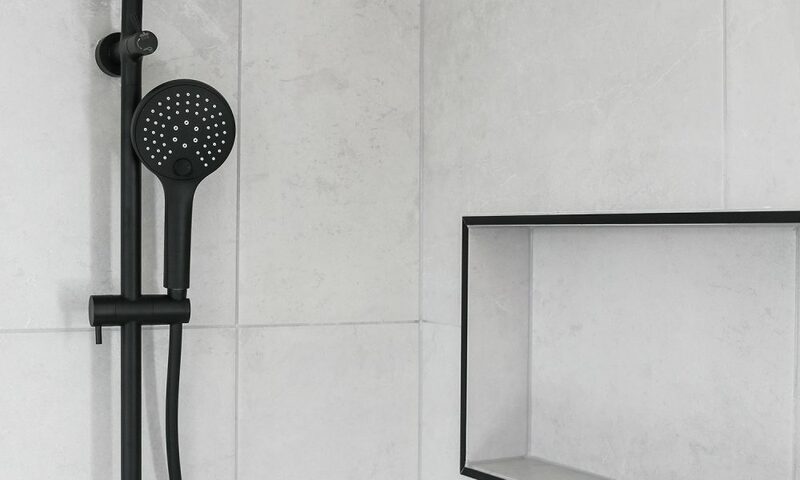 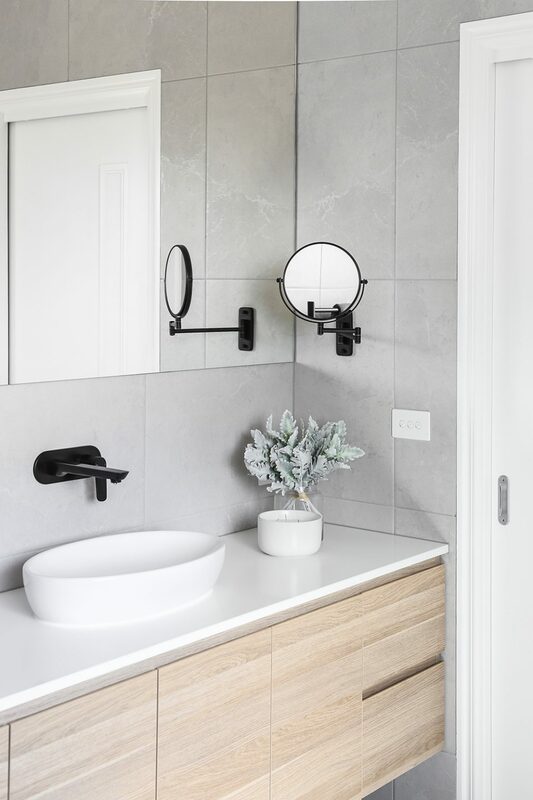 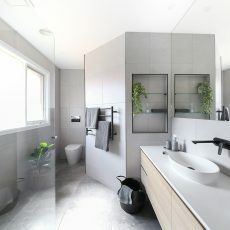 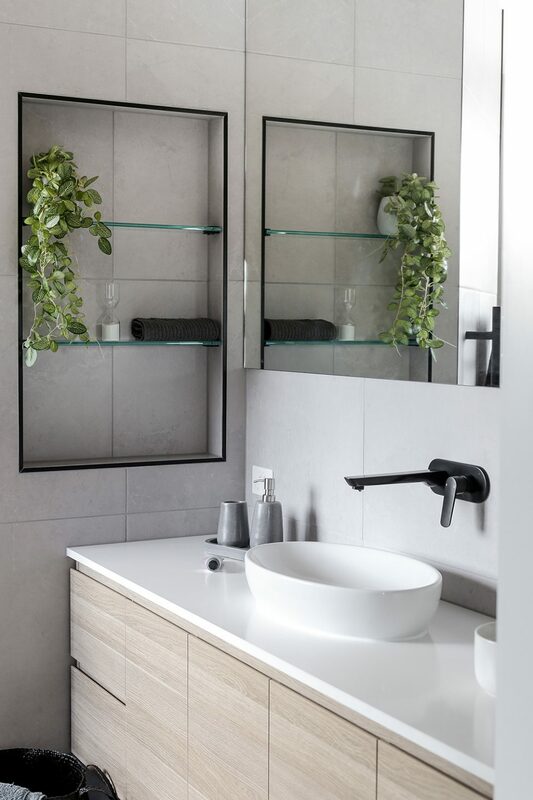 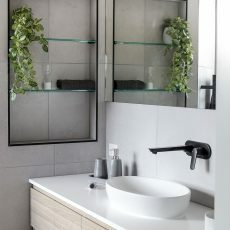 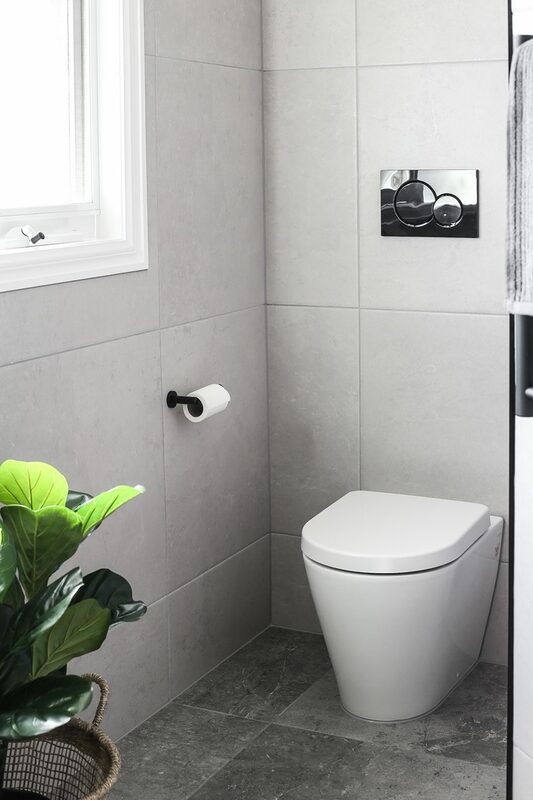 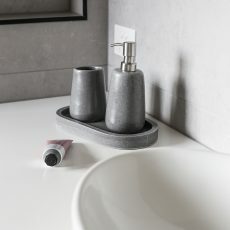 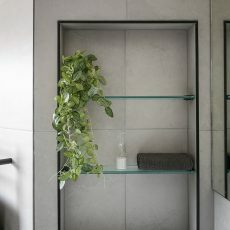 The ensuite is complete with Maximo grey tiles, a custom vanity with an oval counter basin, matte black fittings and fixtures and a special features like the Ablaze Black magnifying mirror. 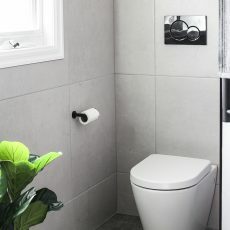 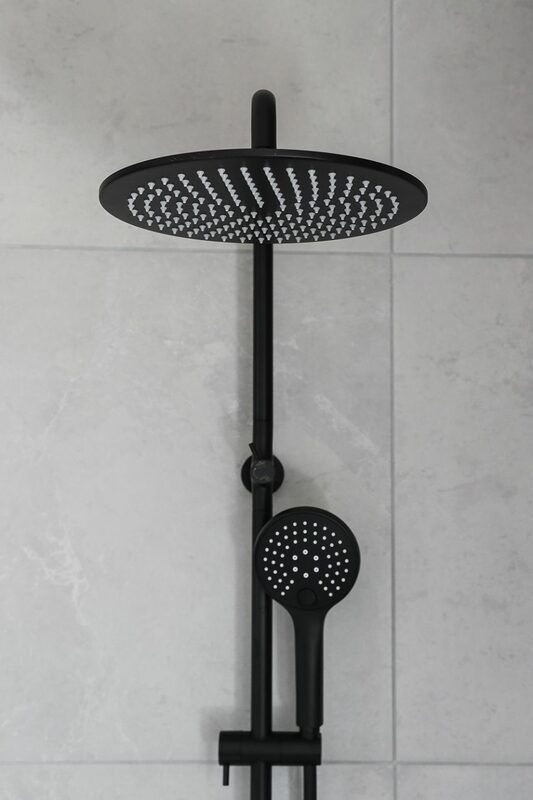 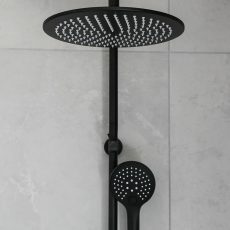 The toilet is a Kado Lux back to wall pan. 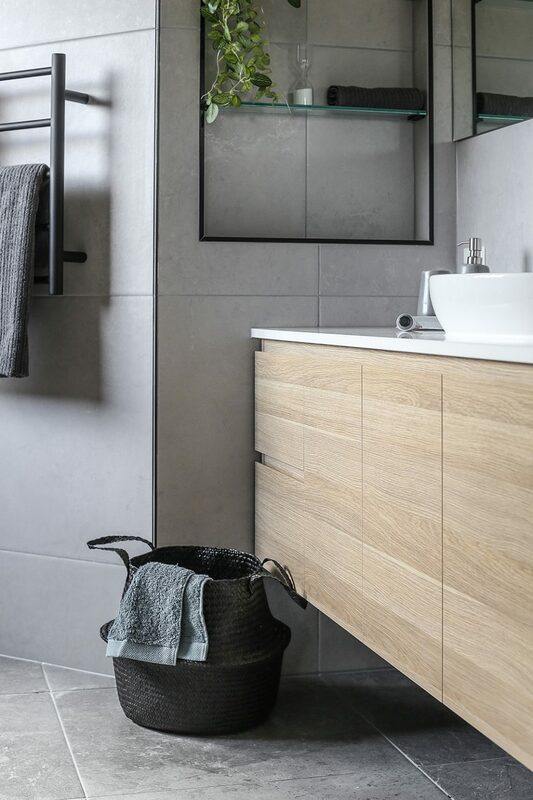 The features work together to create a space the flows well from the bedroom with now added wardrobe storage.